Parking garages can be scary places. The darkness, strange noises, and unexplained concrete stains can be unnerving to some. 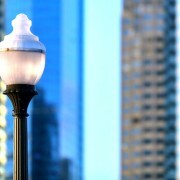 One way to add safety and style to parking garages is with vapor tight lights. 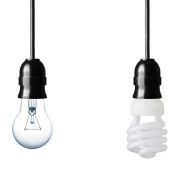 These lights feature a glass globe to shield the light bulb from the elements, and are perfect for the dusty, dirty, exposed nature of a parking garage. Vapor lights are easy to install and maintain. But they do more than just bring light to a space; they also bring in a unique sense of style. Here are four options for vapor jars to meet all of your parking garage lighting needs, no matter your style. Turning gloomy concrete jungles into fun illuminated spaces is quick and easy – just add boat dock pendant lights! 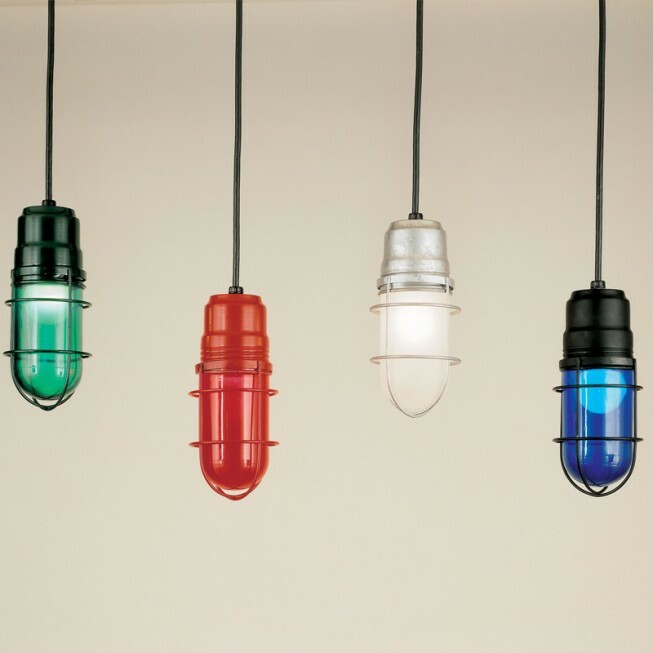 Pendant vapor lights are a great option for a space that is wired for electrical only through the ceiling, and they work especially well in tight spaces. There are a variety of pendant styles available, including this shaded option that comes in a variety of finishes. Pendant lights can be customized to meet your needs with variable cord lengths and stem options. Plus, they add a dash of class and sophistication to an often-overlooked area. Wall sconces use the wall for support, but sit away from the wall, shining their light to a larger area. Vapor light sconces add great architectural detail to a space. 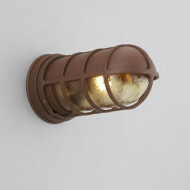 This saucer sconce comes in a variety of colors, finishes, and jar colors. The look can be personalized to fit your space, but one thing stays the same – sconce vapor lights are a classic twist on a modern fixture. For modern minimalist design, consider this flush mount vapor tight fixture that reflects downward. 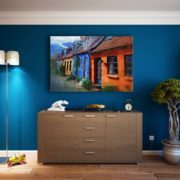 If you are tight on space or just want to eliminate the extra features of other vapor lighting options, a flush wall mount is the way to go. In the style of an old-fashioned work light, vapor lights that are mounted flush on the wall stick out horizontally and shine the light down. They are great for providing strong light in the area just below the bulb and for creating a soft ambiance in other areas. This flush wall mount vapor jar is a minimalist approach to the style that still gets the job done. For a direct overhead light, ceiling mount vapor lights are a great option. Ceiling mounts still bring the style and durability of vapor lights, but take up less space, making them perfect for a parking garage with lower roof clearances. Ceiling mount lights also shine light equally around the space, providing a wide swath of light. The Oklahoma lantern light combines industrial and rustic elements to fit any parking space. No matter how you hang vapor tight lights, they are sure to make a big difference in the atmosphere, style, and safety of your parking garage.